Bed sheets have come off age and today, became ‘must’ as far as styling of home goes. 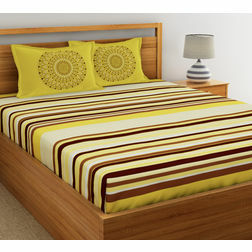 A bed, covering a significant area of any room always assists in beautifying a room. 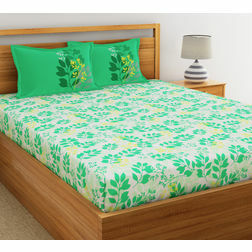 Bed Sheets are primarily made of Cotton fabric. 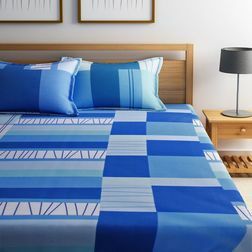 However, in Western Countries, owing to cold climates, bed sheets made of Cotton Polyester and 100% Polyester (also called micro) are sold widely. 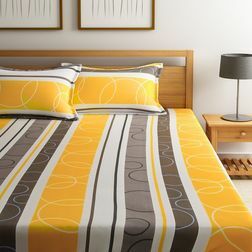 Material – Bed Sheets are predominantly made in 100% Cotton, Polyester Cotton (Polyester content major), CVC (Chief Value Cotton, Rest material Polyester or some other fibre) or 100% Polyester fabric. Cotton being a natural fiber is the best material for bed sheets. Generally, 100% cotton bed sheets are used. 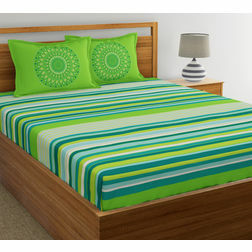 However, in economy segment, 100% Polyester bed sheets or Polyester cotton bed sheets are used. 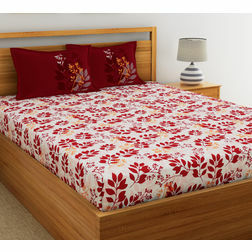 Cotton bed sheets are most comfortable and apt for Indian or tropical climates. Thread Count (TC) – Thread count implies number of threads per square inch. Higher the thread count stronger and better feel of the fabric will be. In bed sheets, in India, common Thread Counts used are 104 TC, 140 TC, 180 TC, 200 TC, 300 TC, 400 TC, 500 TC, 600 TC, 800 TC and 1000 TC. For homes, bed sheet with minimum thread count of 140 is recommended. 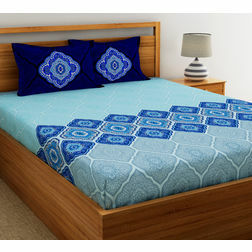 Bed sheets with thread count between 200 and 300 falls in premium bed sheet category. 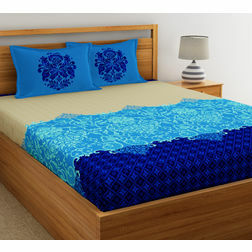 Bed sheets with thread count of more than 300 falls in luxurious category. Color Fastness – This is an important factor in knowing quality of the bed sheet. 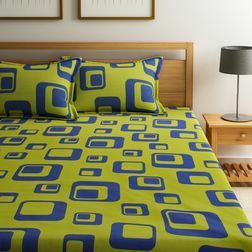 A good bed sheet must have good color fastness. Color fastness is an indicator of bleeding or fading of the color after the wash. At furnishturf.com, we ensure that the color fastness is good which means color change will be slight. However, in most cotton bed sheets, where thread count is below 200, slight color change is normal. It is natural for a cotton bed sheet to fade over a period. 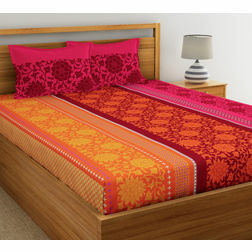 In premium bed sheets, premium dyes are used and hence color change is less visible. Shrinkage – This is the final yardstick to measure quality of bed sheet. The bed sheet should not shrink more than 5% after first wash. After the first wash, shrinkage stabilizes and after 4 to 5 washes shrinkage stops.